Chickens are funny and rather dumb creatures, and a part of the daily life at Rootdown farm. 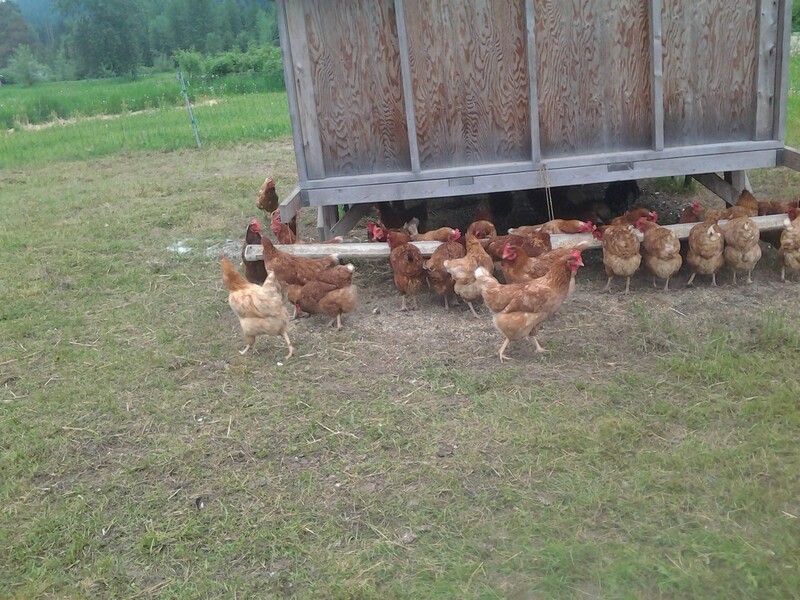 We have about 45 hens and one rooster, and every morning, we let the chickens out of their mobile wooden coop onto pasture, where they feed on grass, bugs, and the balanced chicken feed we provide. When we let them out in the morning, they come tumbly out eagerly, practically climbing over each other to get into the sunlight and grass. The joy they clearly feel makes you glad that you’re able to provide them with this kind of lifestyle – access to the outdoors, to pasture, and to engage in their quirky chicken behaviours. In return for our feed and care, the hens lay fantastic eggs for us, and also their poop provides nitrogen to the soil, which will in turn be beneficial when that land is used for cultivation in a year or two. Contrary to the uniform white eggs you can buy at the grocery store, our hens lay eggs of different colours – shades of white to brown – and are all different sizes and even shapes. Some are jumbo (so the carton doesn’t close! ), some are small; some are “egg-shaped” while others are more round or oblong; some shells are smooth while others have wrinkles. The yolks in pastured chicken eggs are generally darker and firmer, demonstrating the healthy diet the hens get from their mixed food. Every week or so, we move the chicken coop to new pasture, so the field can recover and the flock can have access to fresh grass. When the chickens have been in one place for too long, they start escaping in greater numbers, and we find them wandering, albeit not too far. 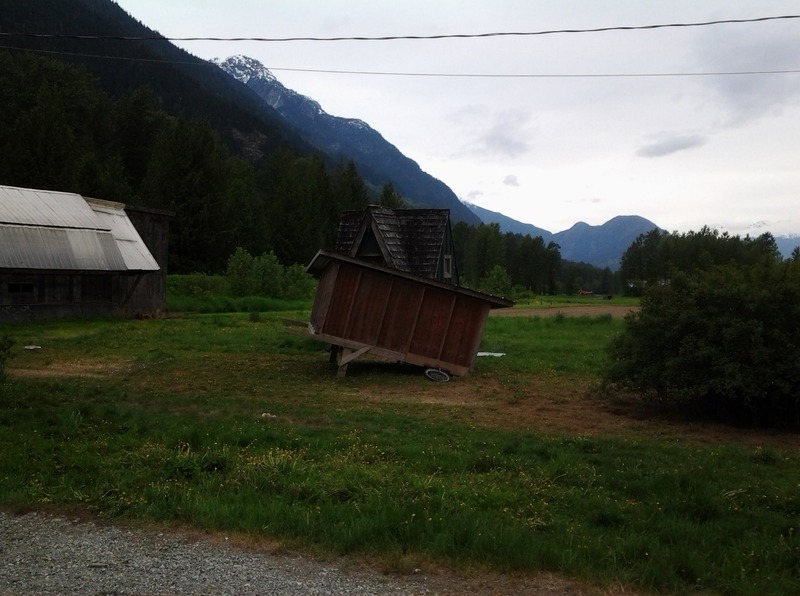 On one recent chicken coop move, we had a longer distance to go, and unfortunately, one of our coops did not make the move! As we tried to turn, we heard a cracking sound, and to our surprise, one wheel bent entirely in half, while the other broke off, and the house had a minor crash, much to the concern of the 20 or so hens inside (don’t worry – there were no chicken injuries!). Luckily, each coop was built to house up to 50 hens, so we could house all of them in the remaining in-tact coop, but getting the hens from one coop to the other proved to be a challenge… We tried opening the coop door and carrying each hen to the fenced area where we’d set up the other coop, and for the most part, that worked. 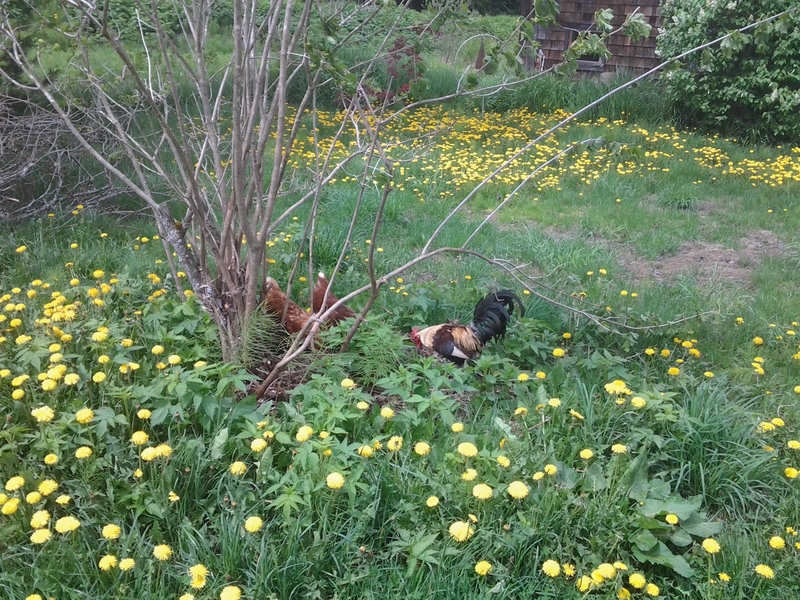 But generally, our chickens don’t much like being caught, and a few escaped our efforts and ran amok. Now picture three farmers, with pieces of plywood as portable barriers, trying to corral four rogue hens across the yard. If you imagine that no matter which way we went, the chickens outmaneuvered us and sent us running, not to mention sent us nearly to the ground laughing, you can understand why this was a bit of an adventure. Eventually, we got all the flock together, and they are now happily residing in one chicken coop.